The 2017 Las Vegas shooting was a terrible tragedy for the country. Fifty-eight innocent people were killed in the senseless attack perpetrated by a deranged gunman. Unfortunately, one country music star just dug up old wounds from the shooting in an awful way to attack the Second Amendment. It’s no secret that country music fans tend to lean more conservative. 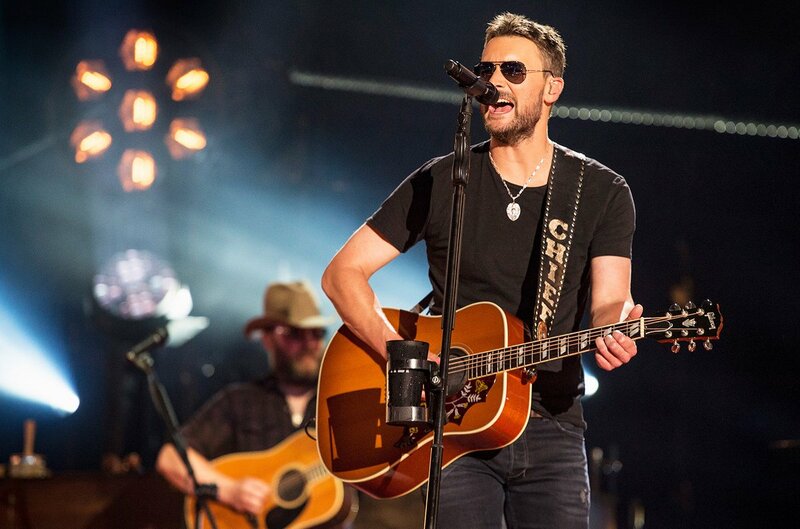 So when country music star Eric Church blasted gun rights in a Rolling Stone interview, many people took notice. First, Church’s facts on the shooting are incorrect. The shooter did not have SWAT pinned down. Several police officers in the Mandalay Bay hotel, the location of the shooter, chose not to engage the shooter immediately. Second, the shooter did not possess any “AKs.” The automatic version of the AK has essentially been banned since 1986. Semi-automatic rifles, like the ones the shooter used, fire one bullet with each trigger pull. The shooter used a bump stock to increase the firing rate. Church goes completely off the rails with these comments. There is no gun show loophole. The Second Amendment bars the government from infringing on citizens’ rights to bear arms. Private gun sales were the norm for ages until the notion of background checks were introduced. Since then, the left has attempted to whittle away gun rights one regulation at a time. Forcing private sellers to perform background checks is absurd. It’s incumbent upon responsible gun owners to follow all of the laws and register their weapon with the local authorities. The overwhelming majority of people do this. The small minority intent on breaking the law don’t, and they’re the test cases gun grabbers use to take away everyone’s rights. Finally, Church made the absurd claim that the NRA has Congress in its pocket. The money that the NRA gives to politicians is a drop in the bucket when compared to how much unions and Planned Parenthood give to Democratic politicians. What Church and other gun control advocates fail to realize is the support for the Second Amendment is grassroots driven. And come election time they vote to protect their fundamental right to defend themselves. The left’s disdain toward gun rights is really indicative of their contempt for the Constitution. Comedian Michael Ian Black recently called the NRA a “terrorist organization.” Many other leftists share that view even though many gun owners believe the NRA has not gone far enough in defending gun rights and has sometimes worked to pass gun control. The left’s political compass is so broken, defending the Constitution makes one a terrorist. Perhaps Church should be more careful about throwing gun owners under the bus without having all of the relevant facts in hand.